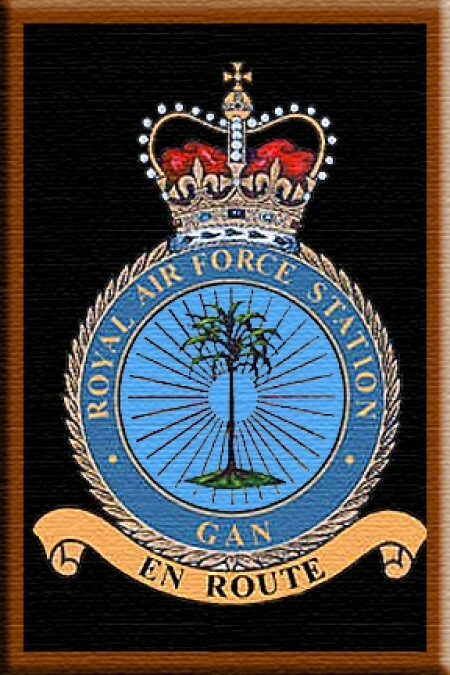 Welcome to Royal Air Force Gan, one of the few sites focusing on a paradise on earth. A posting that will never be forgotten if you were a "Gannite". Even if you weren't, enjoy your visit wandering around the site. 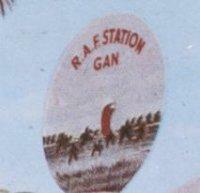 Gan is Situated about 30 miles south of the equator. It was first occupied by the British as a base for the Royal Navy in 1941. Airstrips were also constructed for use by the Fleet Air Arm. It was know as "Port T". In 1957 the Royal Air Force took over and construction of a permanent runway began. It was used primarily as a staging post for military aircraft enroute to the Far East Air Force (FEAF). Other nations air forces also used it as a stopover. The base was finally closed down on 31 March 1976 as commitments in the far east were dwindling and the base was no longer viable. 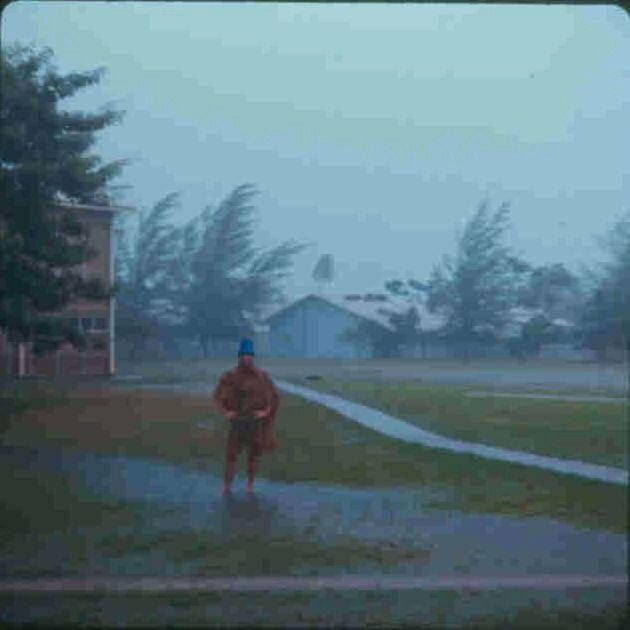 The weather on Gan is continous sunshine for around ten months of the year, the other two months or so are known as the "Monsoon season". It rains almost continously for these two months, and boy, when it rains, it rains! So, if you are thinking of going out for a holiday to Gan or the Maldives, then do your homework weatherwise. During the Monsoon season it is hard to tell where the islands finish and the sea begins! For more information click on the "WeatherOnline" link below. Excuse the picture quality of the photo above. This is at the start of the monsoon season. 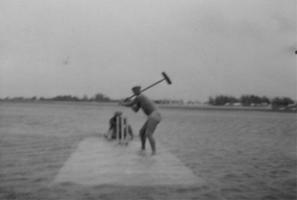 Me and Harry McMenemy playing sweeping brush (Monsoon style) cricket. Harry is the one on his backside. Paddy Byrne was bowling (for want of a better word!) and Jerry Keenan took the photo. Service - 1970-1992. Trade - Telegraphist. I joined the R.A.F. in 1970, went to RAF Swinderby for square bashing, then on to RAF Cosford for my trade training. 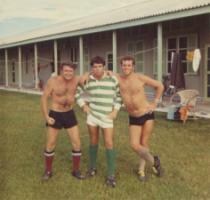 My first posting was to Prestwick in Ayrshire, after 15 months there, I was posted to paradise. After Gan I was posted to RAF Finningley, 33 SU Ayios Nikolaos Cyprus, RAF Fylingdales, RAF Tongeren/Joc Maastricht, RAF Rudloe Manor, RAF Gibraltar, RAF Rudloe Manor, Norway (Afnorth), RAF Rudloe Manor, with various detachments over the years. "Not Having" and "I Hacked It" are terms that have always stayed in my mind. Even if you are not an ex-Gannite, but are ex-military or still serving, I hope you enjoy it anyway. 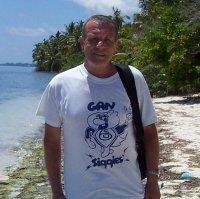 Came out of the RAF in 1992, now living in South Gloucestershire and working for Avon & Somerset police. Drop me a line, if you like at the e-mail address below. My original site was opened - 20 Jan 2001. This site was created - 5 Oct 2008 after my other provider closed down. Look for old mates or get your tales of life in the RAF down here.